Dough is the basic requirement for making many dishes like chapati, paratha, bread, poori, and pizza base. If done conventionally, it requires expertise as consistency of different doughs is different. It is also a messy job and takes time to knead the perfect dough. With technology at your disposal, the job is made easy with bread maker – a versatile appliance that helps in making doughs for 19 different things by just pressing a particular button. You just need to put all the required ingredients in the container, close the lid and press one of the pre-programmed menus. The rest is taken care of by this intelligent appliance and you can get the perfect dough ready within few minutes. 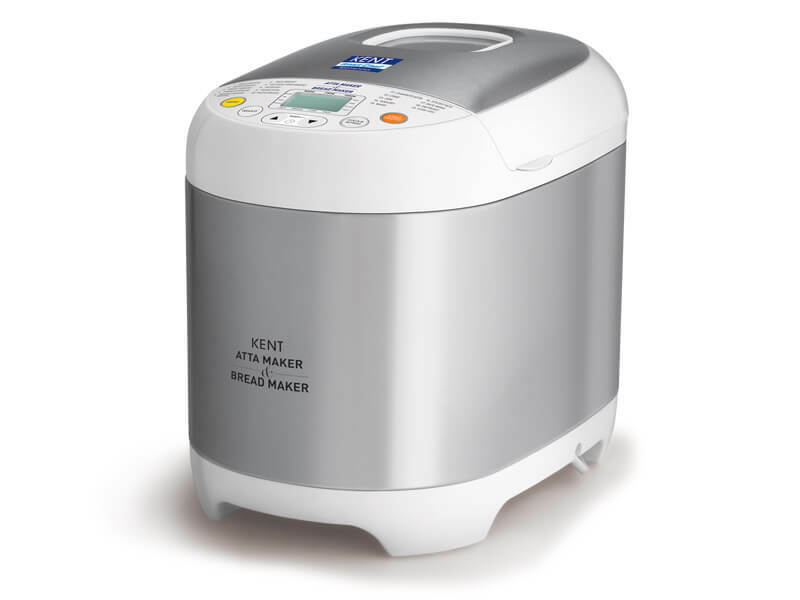 This best bread maker or atta maker, as it is referred to, has made life easy and convenient for millions of people, especially those who juggle between home chores and office jobs. This versatile kitchen appliance is like an extra pair of hands in the kitchen making various doughs hygienically and conveniently without any manual intervention. Everything is pre-programmed in it and all you need to do is place the ingredients and press the button. Nothing can beat the taste of freshly baked bread made from the scratch. The hygiene and contents of readymade breads are always doubtful. Though people like to make it at home, they dread the hassle of making one, especially since everyone is too busy and hard pressed for time. With your own bread maker at home, you have nothing to worry. In case you want your creative juices to flow you can experiment with various alternates like adding some vegetable puree instead of water to knead the dough. You can also add some seeds like flax seed etc. to make the healthier version of the dough. Baking your own bread gives you the perfect control over the ingredients. You can choose anything and everything you want right from opting for wheat flour to start with and adding various ingredients to make unique and healthy variations of bread. Besides being healthy it is also economical to bake your own bread. It is the bread maker, which does all the hard work and you can simply earn all the brownie points. If you buy a bread maker that comes with a delayed timer, then you can select the time when you want the bread. In such a model, you can put all ingredients beforehand and set the timer when you want it to start the process. This ensures that you get freshly baked loaf at the precise moment. The alarm in the appliance helps you in adding ingredients like fruits and nuts at a later stage. In case you add these in the beginning, they will get crushed by the mixing cycle. The alarm lets you add these at a later stage to remain crunchy. This versatile appliance has the capability of making different things using the pre-programmable options. Get it in your kitchen and start enjoying freshly baked breads according to your own specifications.